International Women’s Day 2016 is a day to celebrate all that is great about women and their achievements across our community. And it is also a day to reflect on what is not yet achieved. It is especially important today to keep the focus on what needs to change. Welcome to the first Start Early blog. How does a child develop from an inquiring, kind pre-schooler to someone who, 20 years later, is violent to a person they love? This is the question underneath the Start Early. Respectful relationships for life initiative. We are not alone in asking the question. Educators and others across the community ask the same thing. The statistics on violence tell us that last year—the year Rosie Batty was named Australian of the year—one woman a week was killed by her partner or ex-partner. At the beginning of 2016 this rose to two women a week. This figure doesn’t include the physical and psychological scars that leave their mark for years on women and children. Because violence is a gender-based problem. Violence is more likely to be committed by men against others, including other men. How does this come to be so? For years governments, agencies, families and communities have beenpicking up the broken pieces and supporting victims of violence and abuse. In the last eighteen months or so people across Australia at every level of society have said this is not enough. The question is what do we do to change it now and in the future? This is the crucial shift. When Early Childhood Australia recently spoke with Minister Pru Goward, the first NSW Minister for the Prevention of Domestic Violence and Sexual Assault, the Minister stressed how important it is to go further. We need to ask how can we stop the violence against women and children. How can we change it? That second question also gives the answer. Change in the long-term, means we need to Start Early. We need to start when children’s attitudes and behaviours begin. This is the time, those early years when children’s brains are forming and wiring, when they are learning about themselves and their world. This is the time when attitudes that will carry through life start: learning to manage their own emotions (self-regulation to use an educator word) or learning to blame others. Children can learn to express joy, sadness, frustration and love in constructive ways. These are the years when children’s sense of belonging forms. How will they develop skills in interacting with others? Will they have a sense of entitlement or collaboration? How will they come to understand themselves as an individual, as part of a community, a person who can have an impact for good or for bad, who can make choices and change those choices? Early Childhood Australia, along with others in the sector, has been thinking about these issues for some time. We made a submission to the Victorian Royal Commission into Family Violence in 2015 to raise awareness of the significant impact of family violence on children. 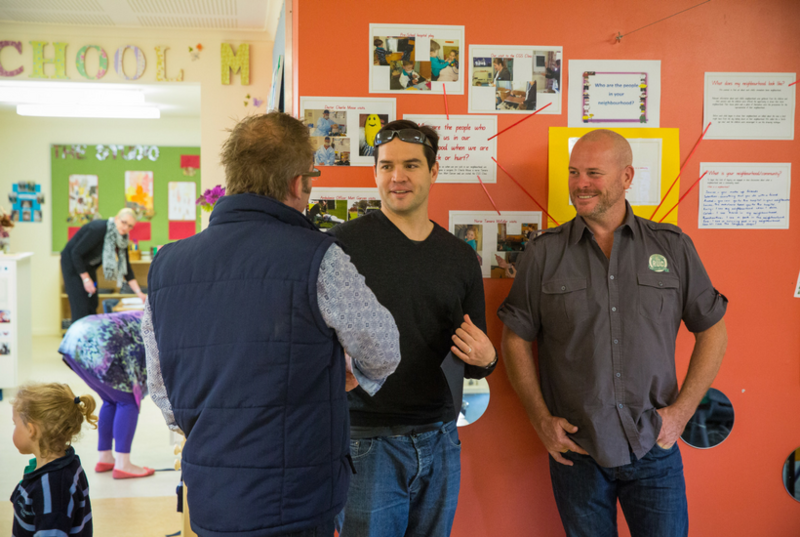 A month later we began working on a new program, with support from the NSW government, which focuses on the ages where children’s attitudes and behaviours begin taking shape. Start Early. Respectful relationships for life grew out of that second question: how to change it. Start Early is not news to educators and carers in early childhood. They are already dealing with the day to day learning and development of children. They share young children’s laughter and the conflict at the sand pit. It is the thoughtful educator who supports the young child in those moments of transition and through limitations to find a new way. Children are often the ‘forgotten victims’ of family violence and may display similar psychological trauma as children who have been physically abused (UNICEF, 2006). Early childhood educators working with families and young children receive very limited training in family violence prevention, despite families with young children being at higher risk of family violence according to the research (Campo, Kaspiew, Moore & Tayton, 2014, p. ix). Yet early childhood education and care is one of the largest universal service systems working with families with young children. Over one million families use one or more services and this number is growing every year. Early childhood services are an important source of support to parents and may often be the ‘first to know’ agency when problems arise. Early childhood educators often have a relationship of trust with one or both parents with the potential to provide effective referrals to family support and/or family violence services however this is not generally recognised or supported. Children, right from the earliest years, can learn skills for respectful relationships and the behaviours and attitudes that form lifelong healthy relationships. That is even though, as psychologist and parent Andrea Nair suggests, babies come ‘wired to freak out when they need something’. This wiring stays in place Nair says until a child learns how to ‘curb the powerful survival urge to shout, hit, flail, throw or bite’. This is how babies ensure their needs are met. ‘Non-violent communication’ she concludes, ‘is actually a learned skill’. Research released late in 2015 shows boys as young as ten are already beginning to use excuses when describing violent behaviours and girls around the same age use terms that blame themselves. Already, attitudes to violence are taking a gender-based shape in young lives. Start Early. Relationships for life is for early childhood educators and carers to explore how their practice can support young children to develop skills for lifelong positive relationships. When we shrug at violence and say: ‘Well, that’s boys for you’ or fail to notice children’s behaviour and interactions we are part of the problem. The stories and statistics of White Ribbon Day each year show that violence against women and children needs urgent intervention and prevention. There is no doubt community change and education is needed at every level, including school-aged children. But children’s learning doesn’t begin at age five and the walk through the school gate. The early years are the foundation for lifelong behaviours and attitudes that reach into adulthood. Healthy self-esteem and respectful relationships free of violence and abuse start early. Start Early: Respectful relationships for life is supported by the NSW government and will launch later in March 2016. It has three online modules that are free and include videos that look at respectful relations in early childhood, the role of gender and respect in children’s emerging sense of self and the strategies educators can use to increase the positive influence of fathers in their young child’s learning environment. At the heart of prevention is building respectful relationships. Families and educators play an important role in helping children learn about regulating their feelings and behaviour. The Early Years Learning Framework also has a strong focus on respectful relationships between children, families and educators, but there is further room to embed these practices. 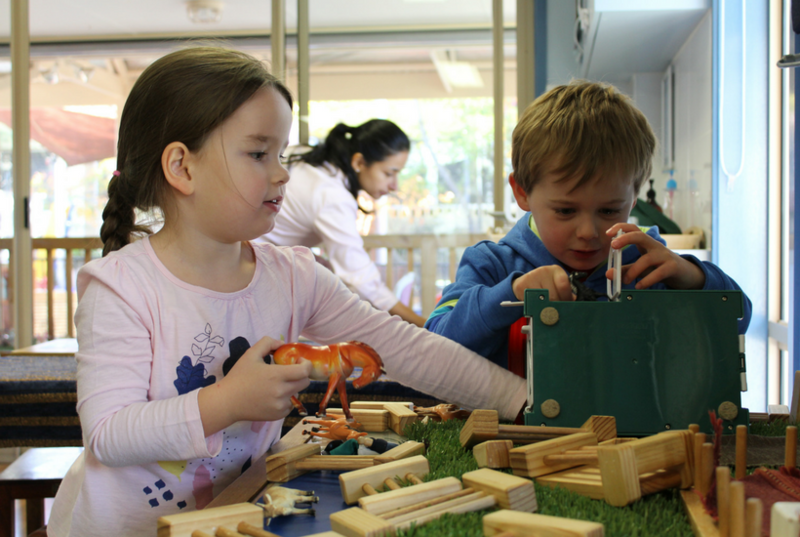 Early Childhood Australia believes that there is a particular opportunity to promote positive and lasting attitudes about equality and diversity among children accessing early childhood services. ‘It needs to be in every school, from as young as kinder throughout the entire school journey and it needs to be in every school, in every state in Australia,’ she said. She also pushed for schools to play a greater role in educating students about family violence, such as demonstrating gender equality and healthy relationships, ‘not just a … video that is stuck in a recorder and we all go and watch it and go off and continue to do what we have always done’. Start Early. Respectful relationships for life launches later in March. For more information keep watching the Start Early homepage. For updates subscribe to learninghubSE@earlychildhood.org.au. Campo, M. Kaspiew, R., Moore, S., & Tayton, S. (2014). Children affected by family and family violence: A review of family and family violence prevention, early intervention and response services, Canberra: Australian Institute of Family Studies. Herbert, S. D., Harvey, E. A., Lugo-Candelas, C. I., & Breaux, R. P. (2013). Early fathering as a predictor of later psychosocial functioning among preschool children with behavior problems. Journal of Abnormal Child Psychology, 41(5), 691–703. United Nations Children’s Fund (UNICEF). (2006). Behind closed doors: The impact of family violence on children. New York: UNICEF. Clare McHugh is a Project Manager in ECA’s Learning Hub. She is responsible for the Digital Business Kit, exploring possibilities for technology in the early childhood sector, and for Start Early, an initiative to develop long term strategies that prevent domestic and family violence. Clare has been thinking and writing about children, family and social policy for many years, including previously for the Commonwealth Child Care Advisory Council and the Australian government. Her background is in psychology and professional writing. She has worked in adult development and group facilitation, employer sponsored child care, family relationships and in the publishing industry. Outside of ECA Clare continues several writing and publishing projects through her freelance business.